If you want to improve your English, while away hours of distraction free entertainment with engaging stories peopled with colorful, unforgettable characters who you will love or hate with a passion, learn about everyday life in the 19th century, understand the class system, observe how society has evolved and changed, learn about human nature and character and personality (and note how little it has changed in hundreds of years), and not have to spend a cent here’s what you do. Then, go to the books of Charles Dickens and you will find that a great deal of them, and other classics, can be downloaded for free. 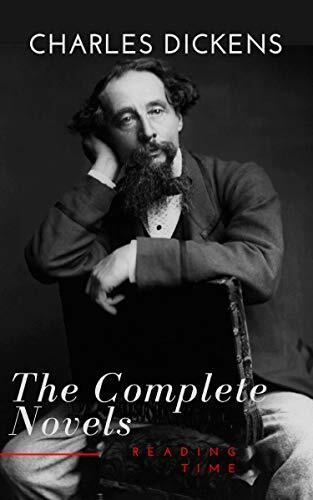 For example here is the Kindle version of Charles Dickens: the Complete Novels-completely free. Here’s one of the best books ever written about the legal system in the England: Bleak House. Many other classics are free, too, as these books are in the public domain. All you have to do is a little searching around on Amazon.co.uk because some will have a small price, depending no the publisher, and some will be completely gratis. Dombey & Son By Charles Dickens-an Early Feminist Novel?